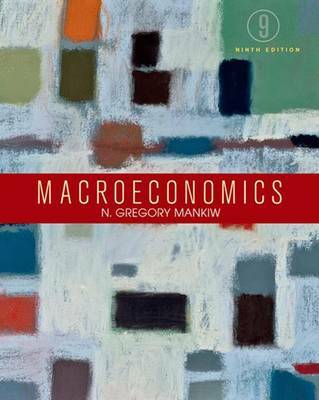 Mankiw's Macroeconomics has been the number one book for the intermediate macro course since the publication of the first edition. It maintains that bestselling status by continually bringing the leading edge of macroeconomics theory, research, and policy to the classroom, explaining complex concepts with exceptional clarity. This new edition is no exception, with Greg Mankiw adding emerging macro topics and frontline empirical research studies, while improving the book's already exemplary focus on teaching students to apply the analytical tools of macroeconomics to current events and policies.